Miniature pocket playing cards advertising “Perma” smoker’s requisites published by Permalon Ltd, London W1. 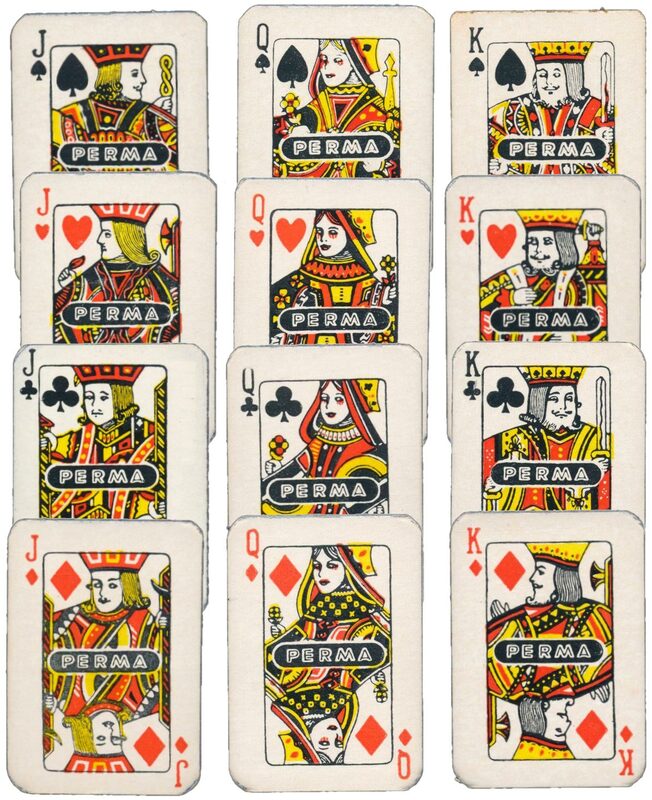 Each of the court cards has “Perma” printed across the centre and the “Perma Girl” appears on the backs and Joker. 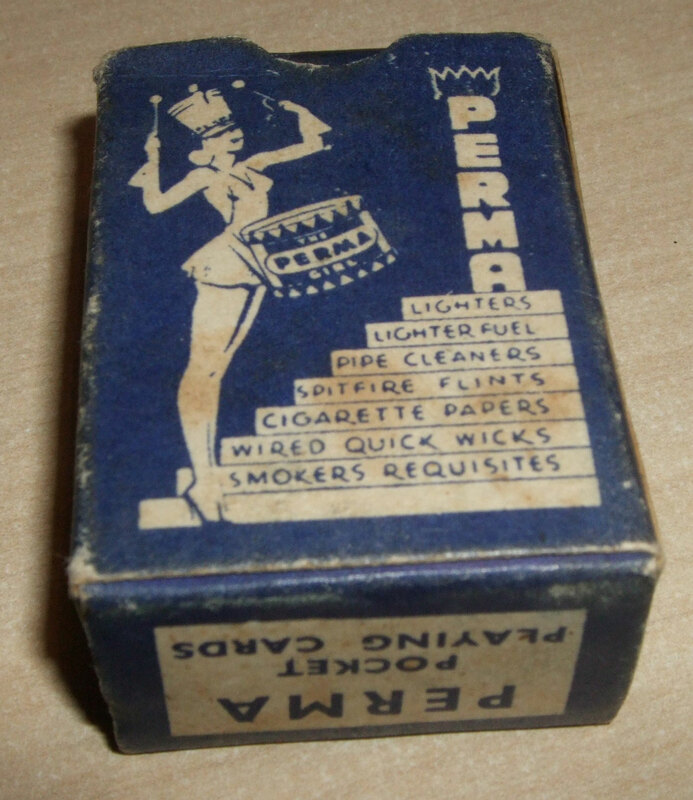 The box displays a list of the range of “Perma” smoking-related products, including spitfire flints, lighter fuel and pipe cleaners. Above: miniature “Perma” playing cards promoting smoker’s requisites, probably from just after WW2 c.1948. 52 cards + joker in box. Some of the cards were still slightly adhered to one another by the edge burring that occurs with cheap cutting. Images courtesy Matt Probert. These miniature pocket cards (below) have the same court cards and anonymous ace of spades as the “Perma” pack and were probably produced by the same manufacturer. Above: miniature novelty playing cards from the late 1940s or early 1950s with a charm of their own. Probably published as small prizes at fairground or seaside amusement arcades (such as the 'Rotary Merchandiser'), the cards measure 50mm by 29mm and were produced with red or blue background.